Circular Quay’s East Pontoon is right next to the Sydney Oyster bar and Eastbank Cafe. It's also a stone’s throw away from Pullman Grand hotel and right nearby the Sir Stamford Hotel and Intercontinental Hotel, your luxury accommodation on Sydney Harbour. Overlooking both the iconic Harbour Bridge and Opera House is the Aria Restaurant, a top of the line eatery with spectacular views of the Harbour. Also close by is the Royal Automobile Club of Australia, a famous private club and event venue. From the Eastern Pontoon you can board you private water taxi and embark on any adventure. Enjoy Sydney Harbour by water taxi and let our experience Captains show you everything the harbour has to offer. 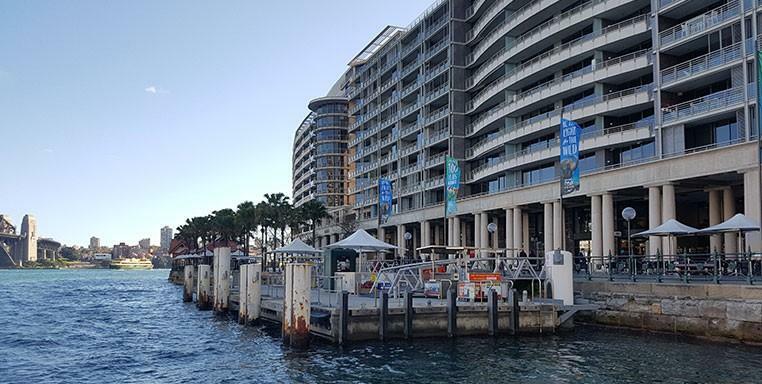 Why not take a water taxi to one of the many water side restaurants or take your own private cruise by water taxi for that memorable adventure.To visit Sydney in style, book your Sydney travel with Majestic Water Taxis. Discuss your travel with our experts and let us show you all the fun and excitement Sydney has to offer. Book online or by phone; we’re happy to help you have a great trip.